In 1998 Mattel’s gift of $25 million made the construction of the UCLA Mattel Children’s Hospital possible. In March 2017 Mattel made a $50M commitment to the UCLA Foundation to expand the hospital’s pediatric services. Over the last 20 years, Mattel has provided more than $80 million to UCLA’s health care system to support its Children’s Hospital. UCLA Mattel Children's Hospital is a "hospital-within-a-hospital," located on the third and fifth floors of Ronald Reagan UCLA Medical Center. The children’s hospital has 44 inpatient pediatric patient beds, a 22 bed Neonatal ICU, an 18 bed Pediatric ICU, and a 6 bed Pediatric Cardiac ICU. It also has its own Emergency Department featuring pediatric-friendly exam rooms. The entire facility is designed to meet the physical, social and emotional needs of children and their families. Patient rooms feature large windows with window seats and day beds so family members can spend time in the rooms comfortably. Each nursing unit has a minor procedure room so young patients can undergo certain treatments away from their sleeping area. Multiple age-appropriate playrooms and a family resource room extend to a large outdoor play terrace with ocean views. This latest donation from Mattel will enable the hospital to build a “kids-only” system of care, to ensure the child’s experience remains the primary focus through the facilities specialized design. 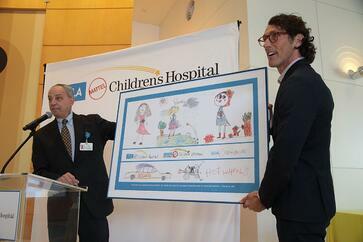 The hospital will continue to seek ways of better integrating play and health during treatment. The gift will also help the hospital improve care and patient outcomes by ensuring that all staff members specialize in treating children. Mattel’s commitment will also support global children’s health through programs in China, Indonesia, India and South Africa, including doctor exchanges and research partnerships. In 2016, Top Master’s in Healthcare Administration listed Mattel Children’s Hospital as the 8th Most Technologically Advanced Children’s Hospital in the World. It is a recognized leader in pediatric surgery, and an international referral center for a variety of specialized treatments. Surgeons at Mattel have pioneered the most successful techniques available for repairing pectus excavatum (or “sunken chest syndrome”) in adolescents. They have led the charge against childhood obesity with novel gastric bypass surgery for extreme cases. In fact, Mattel has an entire surgical wing dedicated to patients undergoing minimally invasive laparoscopic surgeries. UCLA is also home to Children’s Discovery and Innovation Institute (CDI) which was founded in 2013 to inspire scientific discovery and design new avenues for innovation. Here pediatric physician scientists cultivate collaborative teams and research support systems in order to improve the lives of children. The latest gift from Mattel is part of the $4.2 billion UCLA Centennial Campaign, which concludes in December 2019. Those interested in increasing their laboratory product sales are invited to display their products Biotechnology Vendor Showcase™ at UCLA. 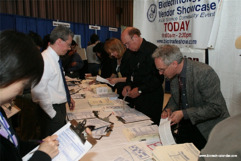 This on campus UCLA vendor show will be held on Thursday, April 20, 2017 and then again on Thursday, October, 26, 2013 and will be hosted by Biotechnology Calendar, Inc. More than 400 life scientists are expected to attend. 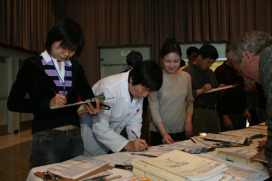 Last year, researchers came from 46 different research buildings and 80 on-campus departments. Science professionals, including researchers, PI's, technicians and post doctoral researchers are invited to attend for free. 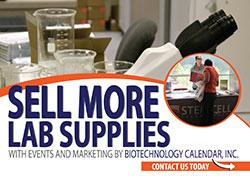 This is a great opportunity to see the latest in hospital laboratory equipment as well as general lab. Click the link below to for more information and find out how to preregister.